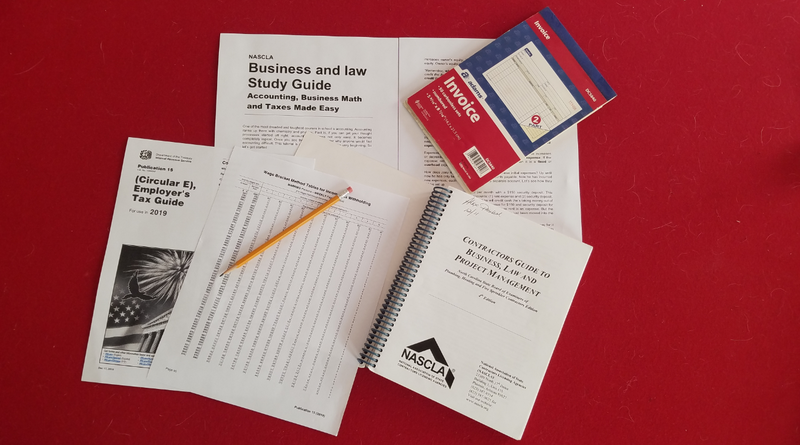 Pass your contractor business and law exam the first time. Guaranteed! "Contractors Guide to Business, Law and Project Management"
2. An employer is responsible for paying _____ of the FUTA on an employee’s wages. 3. Acme Plumbing has yearly sales of $367,000, Its overhead expense is $62,000. What is the percentage of overhead to sales? 8. An employee earns $15.00 per hour. If he/she physically works 40 hours in one week plus gets 8 hours of vacation time. What will be the gross pay. 15. ABC Heating has estimated a job to cost $5800. Its company overhead is 26% and it wishes to make a profit of 25%. What should be the bid price of the job?